Nature Posts: "Conehead?" "That's Beside The Point"
"How did I get that name, you ask?" "Wow! You ask such pointed questions." "Ummmm...hey, aren't green eyes becoming?" 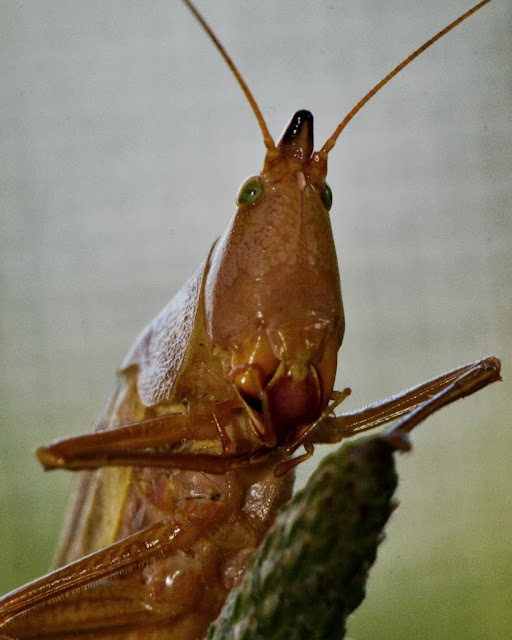 The point is... a post with video of this Katydid singing will be coming shortly. Oh Dana, you're such a tease !